Range Rover Sport is designed to command attention. Its lower, sportier stance is enhanced by the refreshed front and rear bumpers with integrated exhaust finishers* and a dramatic, modern feel is completed by the wrap-around LED lights with optional sweeping Animated Directional Indicators. Supremely comfortable. Exceptionally functional. The clean, modern design of the interior space is complemented by enhanced Ambient Interior Lighting and the fitment of Touch Pro Duo. 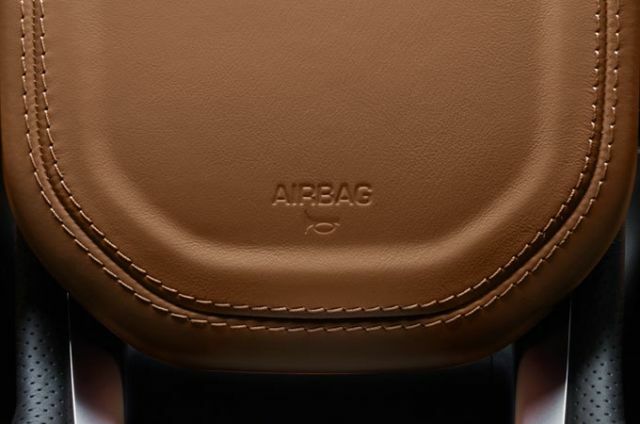 For the first time on Range Rover Sport, seating can be specified in the finest Semi-Aniline leather and in a choice of contemporary new colourways, including Ebony Vintage Tan and Ebony Eclipse, ensuring your vehicle looks and feels as good as it drives. Delivers the perfect balance of ride and control by offering continuously variable damper settings. Adaptive Dynamics monitors vehicle movements up to 500 times a second, responding to your inputs and the road conditions to ensure a comfortable, composed drive. The spacious cockpit is created around the driver. The Sports Command Driving Position helps deliver a more confident drive and intuitive controls include the CommandShift 2 gear lever, providing the option of manual gear shifting, and gearshift paddles on the steering wheel. 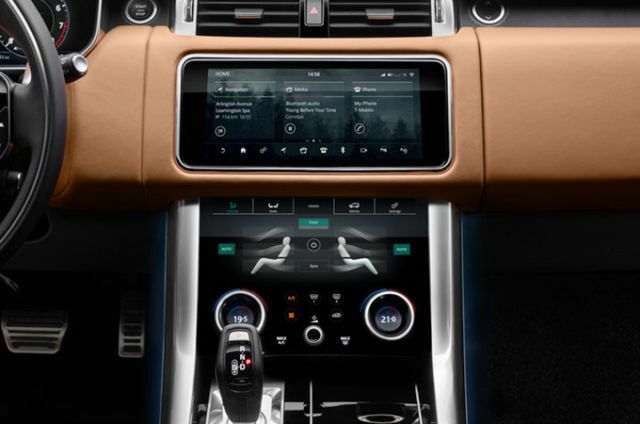 Providing the choice of enhanced refinement and comfort or performance, the optional Configurable Dynamics* allows you to configure the vehicle’s throttle mapping, gearbox shift points, steering settings and suspension to suit your driving needs. 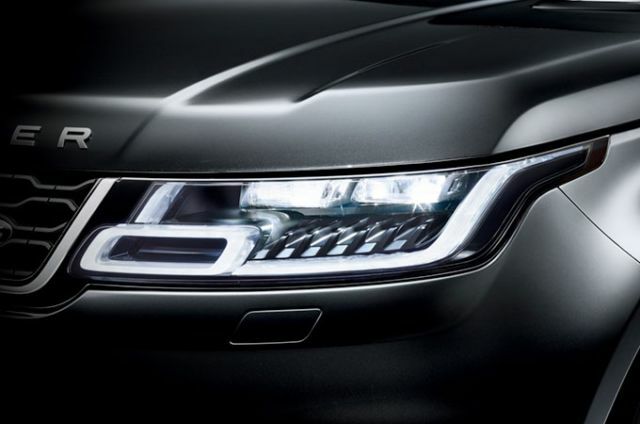 Pixel-laser LED headlights with signature Daytime Running Lights provide the ultimate headlight option, with laser technology delivering five times higher luminance than standard LED lights. Becoming operational above 80km/h and when no other external lights are detected, the system produces clear sight for over half a kilometre. The Head-up Display* presents key vehicle data including your speed, gear position and navigation directions, on the windscreen. It features full-colour, high-resolution graphics, enabling you to see relevant information with ease. *Requires infrared reflective windscreen in some markets. Delivering a wealth of information and entertainment, the Touch Pro Duo in-car infotainment system features the most intuitive and advanced integrated technologies to ensure you can make the most of your journey. 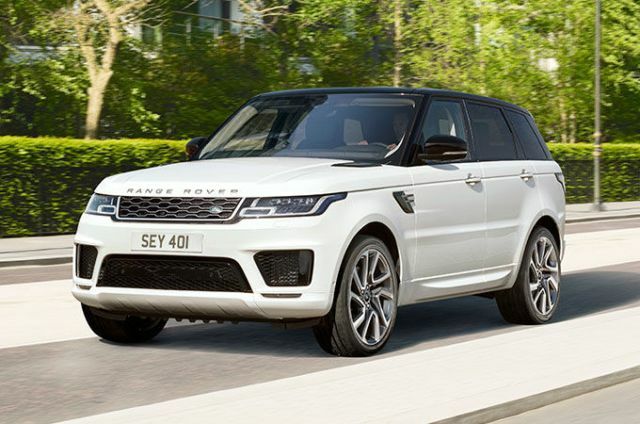 Range Rover Sport’s line-up of refined and fuel-efficient engines deliver strong performance. Choose from a selection of advanced petrol and diesel engines or the new Plug-in Hybrid Electric Vehicle (PHEV)—our most innovative powertrain yet. Exceptional grip and steering confirm Range Rover Sport as our most dynamic SUV. 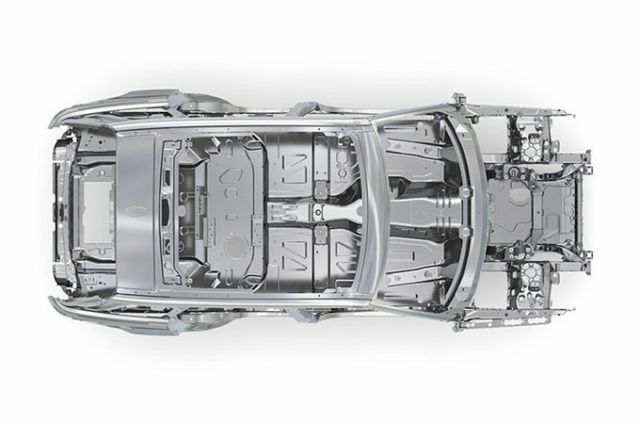 With a suite of carefully engineered technologies it delivers an exhilarating drive, whatever the road and conditions. 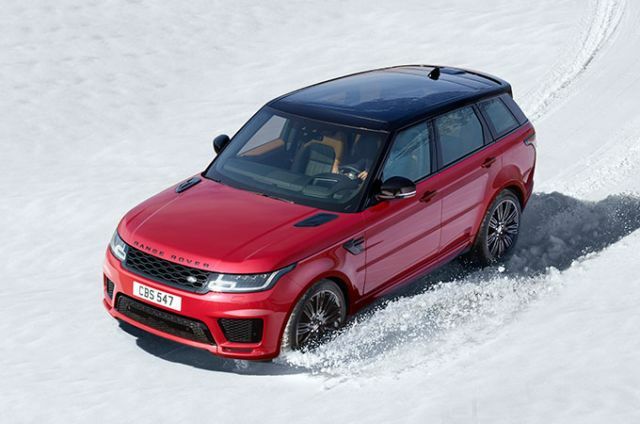 Range Rover Sport’s exemplary off-road capability is derived from a combination of All Wheel Drive (AWD) systems and unique, innovative all-terrain technologies. 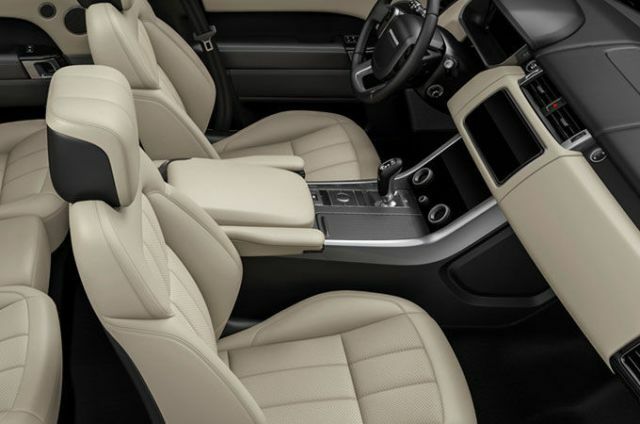 Range Rover Sport takes driver and passenger comfort to the highest levels. Meticulously designed, the contemporary interior comes with new front seats offering increased support and the option to select them in Semi-Aniline leather. Providing additional convenience and capability, Automatic Access Height, enabled through electronic air suspension, allows occupants to more easily enter and alight by lowering the vehicle by 50mm. Enabling the vehicle to accommodate up to seven occupants, the optional 5 + 2 arrangement has two seats stowed under the floor of the luggage compartment. There is no loss of loadspace and the second row seats have forwards/backwards movement of 100mm allowing for ease of access. To ensure your cabin is clutter-free, there is increased stowage space, including a recess for smartphones. And the optional front centre console refrigerator can accommodate up to four 500ml bottles and maintain their temperature at 5°C. To prevent the cabin from overheating and minimize demands on the air conditioning, the auto sunblind closes automatically when passengers have disembarked and the doors locked. The optional gesture sunblind* provides intuitive forward/backward gesture control allowing the driver to concentrate on the road ahead. For enhanced driver and front passenger comfort, the optional Semi-Aniline leather 22-way memory front seats will memorise your preferred settings and can also be specified with massage functionality for added comfort. Helps your wellbeing by improving the air quality within the vehicle cabin—reducing allergens, airborne bacteria and associated odours. It does so by ionising particles in the air, making them attract to surfaces and helping cleanse the air. This feature can be turned on or off as desired. Set and maintain a steady speed in challenging conditions such as mud, wet grass, ice, snow and dirt roads. All Terrain Progress Control (ATPC)* functions between 1.8km/h and 30km/h, enabling you to maintain full concentration on steering and finding a path to cross difficult terrains. Range Rover Sport can wade in depths of up to 850mm**. Our optional Wade Sensing feature uses sensors in the door mirrors to let you know when water levels are near the vehicle’s maximum depth. The control system provides real time information and is particularly useful in dark conditions. **Only available with Auto-dimming, Power Fold, Heated Door Mirrors with Memory, Surround Camera System and Drive Pack or Drive Pro Pack. Our unique Terrain Response system optimizes the engine, gearbox, differentials and chassis to match the demands of the terrain. Optional Terrain Response 2 takes the system’s award-winning capabilities to a new level, automatically selecting the most suitable setting. It also includes additional Rock Crawl Mode. 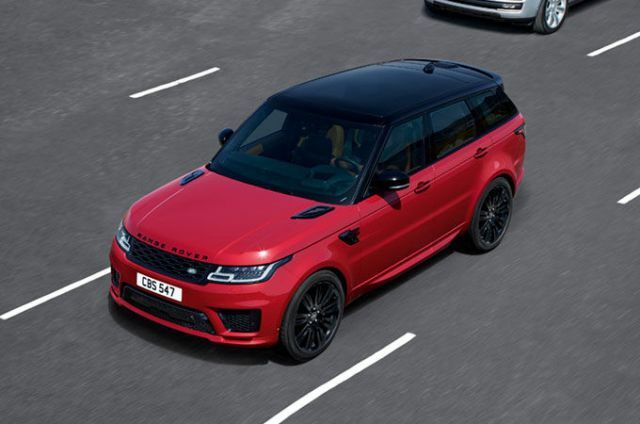 Range Rover Sport powertrains incorporate low CO₂ technologies such as the advanced intelligent Stop/Start system. The system shuts down the engine at rest and starts it again when you lift your foot off the brake, improving fuel consumption by between 5 and 7 percent. The additional ECO Mode uses software to ensure the vehicle runs more efficiently and economically. 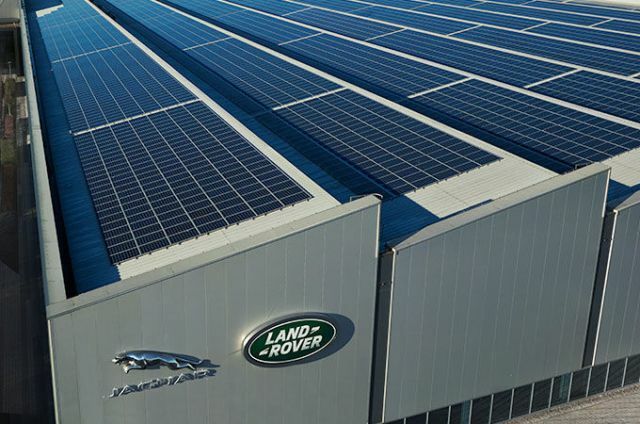 As an environmentally responsible company, we are committed to producing vehicles that use more sustainable materials, produce less waste and use fewer natural resources. 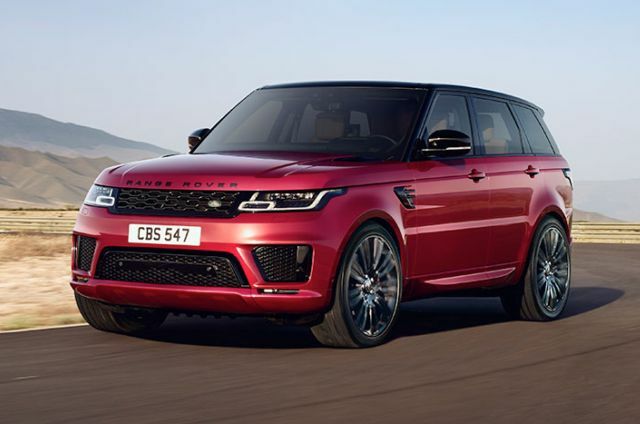 Accordingly, Range Rover Sport has been designed to be 85 percent recyclable and 95 percent recoverable. And we are investing in state-of-the-art facilities where we can make our cars even more efficiently – using less water and energy, generating less waste and emitting less carbon. 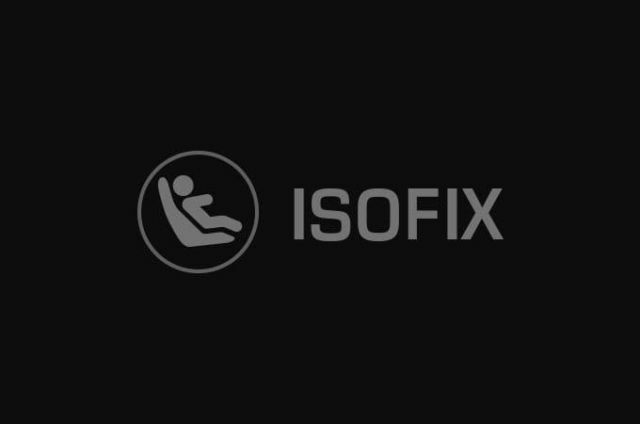 ISOFIX points in the rear seats make it easy to install child seats. They also ensure a strong connection between the child seat and the vehicle for improved safety. Range Rover Sport’s comprehensive system of driver and passenger airbags provides excellent protection for all the vehicle’s occupants. Additional protection is offered by seat belt pretensioners which, in the event of front impact, reduce forward movement. Range Rover Sport features all-round exterior LED lighting as standard. LED lights are designed to last the lifetime of the vehicle and use less energy. 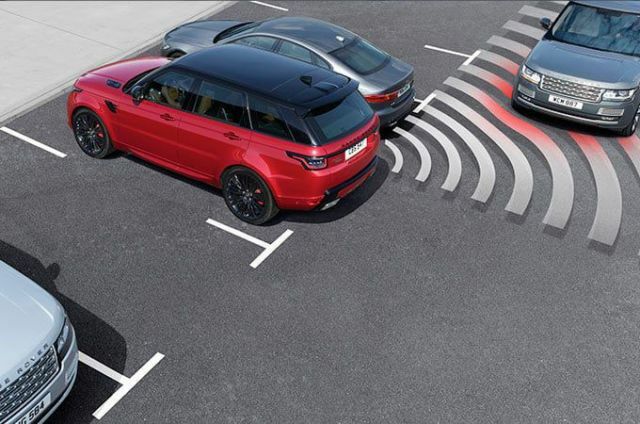 Range Rover Sport's Command Driving Position helps deliver a more confident, engaged drive. The elevated position gives you improved visibility contributing to better safety and security. Emergency Brake Assist understands when you apply the brakes quickly but without the necessary force to maximise stopping performance. 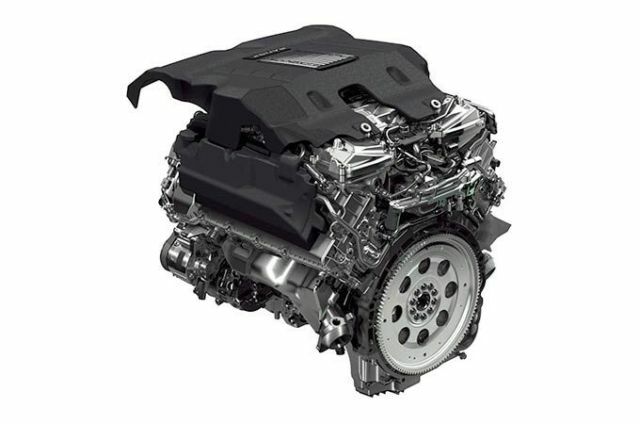 It therefore boosts the brake pressure through the ABS pump to ensure you stop in time.